The redesigned Galileo Online Testing Interface, the first of several upcoming enhancements, is now live. 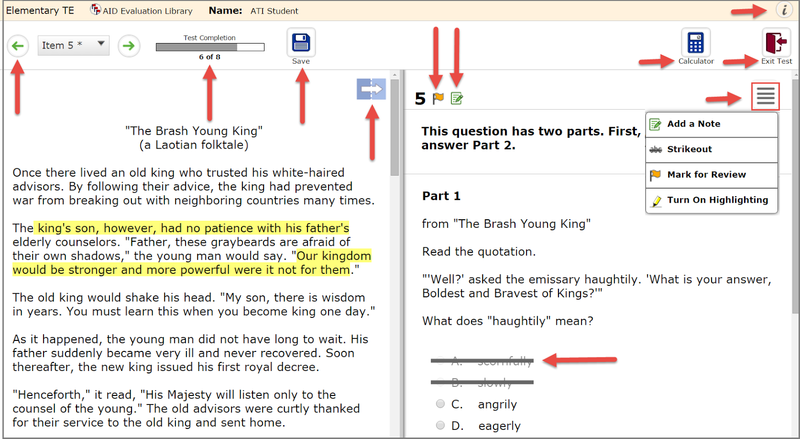 The interface features streamlined navigation and interactive features consistent with those found on state-wide assessments developed by PARCC, SBAC, and AIR. 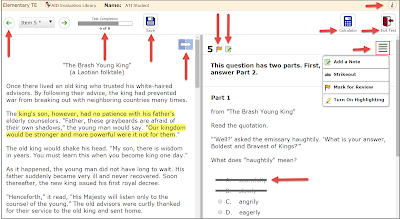 Testing tools in the interface (e.g., calculators, marked-for-review, strike-through and note capabilities) provide a supportive testing experience for test takers. ATI’s many technology enhanced items are accommodated well in the interface for both district/charter-wide and classroom assessments. Additional bonus: The interface provides increased support for assessments offered through tablets. Take a peek inside what you might see on a test or quiz. The sample image points out the primary features and new testing tools available. Additionally, access the chart which explains the exact functions of key icons and testing elements. Galileo sample item with new primary functions indicated. If you have any questions about the Galileo new testing interface, contact one of our friendly Field Services Coordinators to schedule a Galileo Overview.